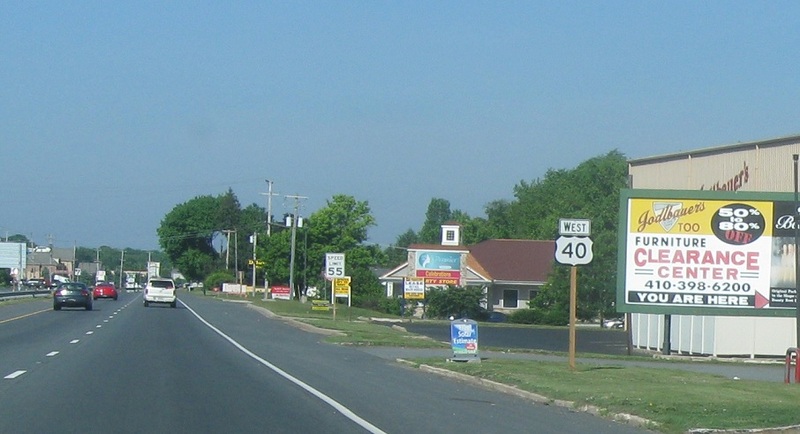 Reassurance shield after the MD 7 junction. 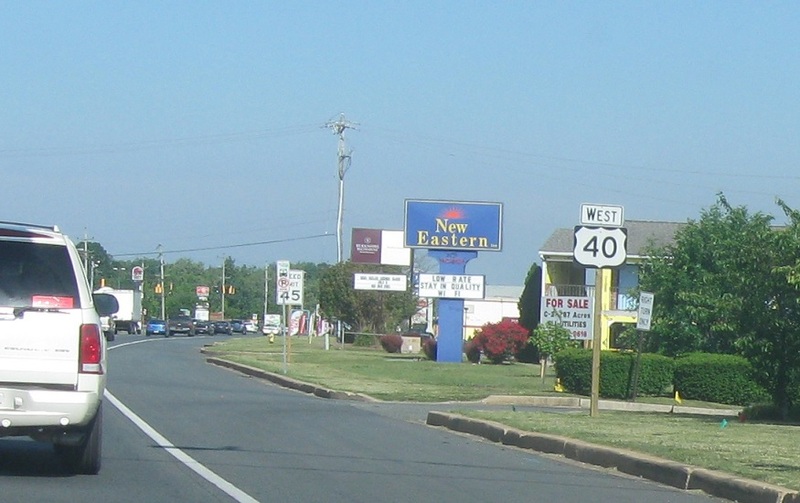 Reassurance shield a few blocks later as we pass by a Best Western knockoff. 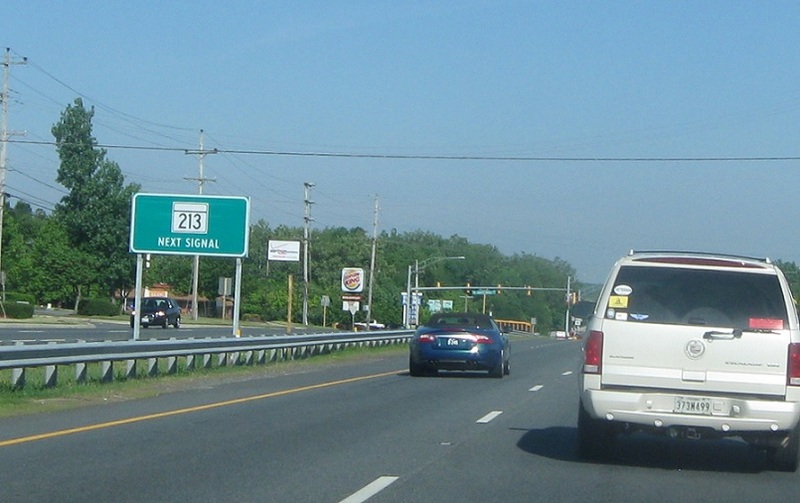 At the light we’ll approach MD 213. 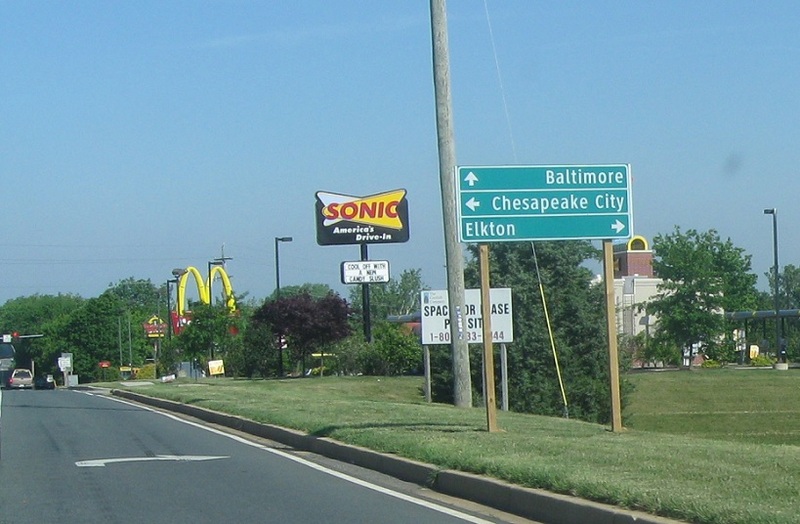 Follow 213 north to downtown Elkton, 213 south to Chesapeake City, and stay on US 40 for Baltimore. 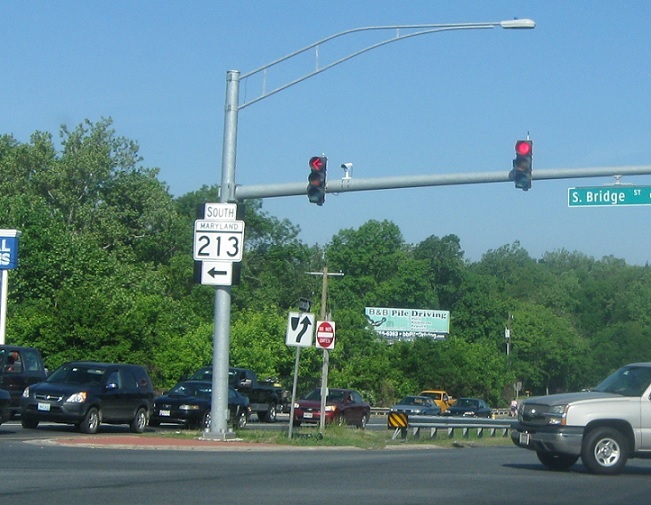 Turn right for 213 north. 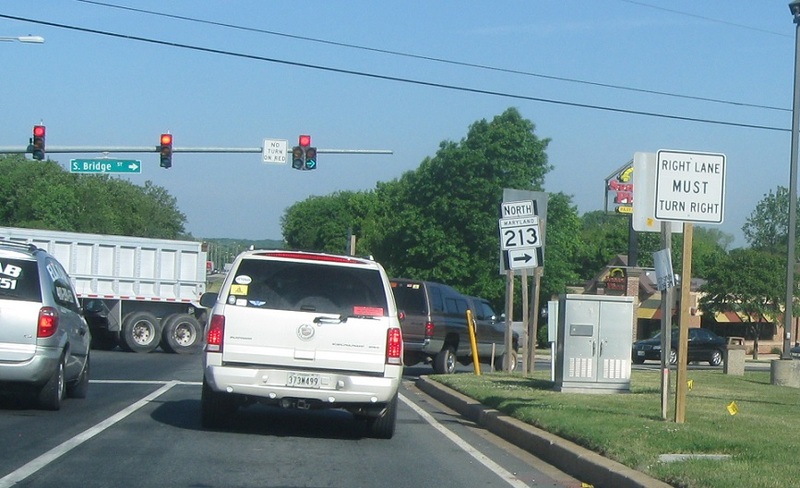 Turn left for 213 south.